Save big on surfboards surfing gear and surf clothing for men and women. Get the latest surfing news how to videos and more. If you are looking for surfing equipment we got it at up to 80% off the retail price. 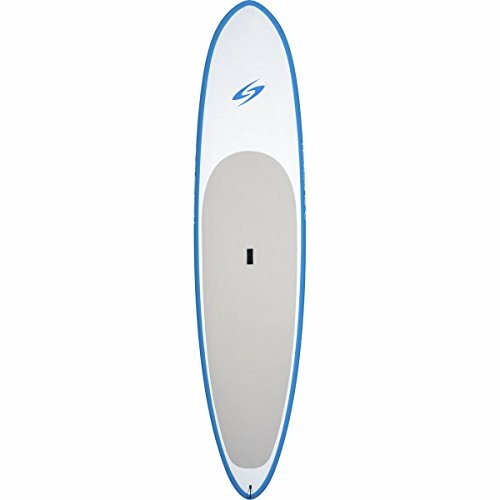 Ride the Tide with your Aqua Marine SPK-3 Inflatable SUP Stand Up Paddle Board. 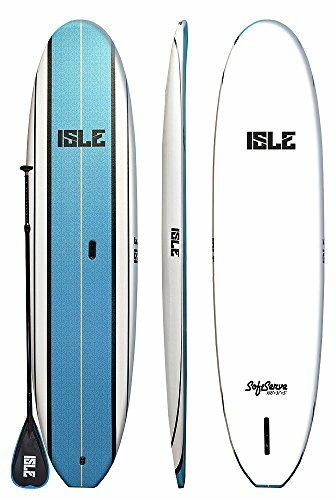 This rigid inflatable SUP board has a similar feel to a hard board, yet is more portable, more lightweight and easier to store. Throw it in the trunk of your car – No need for roof racks! Made from commercial grade PVC material with drop-stitch construction. Run it over with your vehicle, throw it off the roof or ram it into the rocks or pier. When inflated the board is 10’10” long, 30″ wide and 6″ thick and ready for a variety of water conditions. The extra thickness board and balanced design suits either lightweight or heavier weight player with a flat and solid deck for stability. Five stainless steel D-rings are handy for on-board storage. The three fin set up is perfect for tracking on flat water, while the anti-slip deck pad will keep you on your feet. The adjustable aluminum paddle collapses for easy storage. 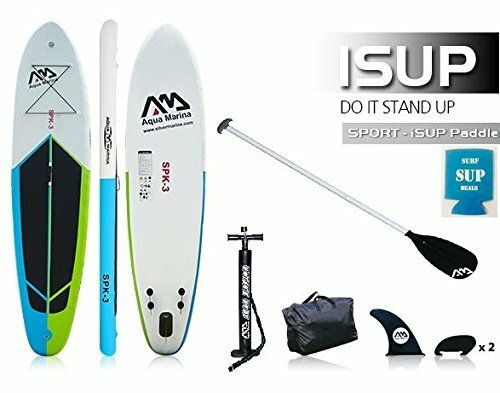 Included in the package are the SUP board, high pressure gauge pump to 20 psi, paddle, three fins, a patch kit and carry bag. Durable: PVC material and drop-stitch construction, max recommended weight 308 lbs. © Copyright 2012- 2015 - SurfboardsSale.com All Rights Reserved.